Suitably insulated walls and floors will create a warmer and healthier building, put more pennies in your pocket and protect the environment. Brewers understand that with ageing buildings come certain problems, inadequate insulation, penetrating damp, condensation and the risk of mould growth. However, new builds and extensions have a whole heap of requirements to conform with to prevent mould and damp before they even occur. Here we take a look at the solutions available. Do you want to create a warmer, healthier building? Various lining papers and wallcoverings are available at Brewers Decorator Centres, offering an extra layer of insulation protection. Wallrock is a range of specially prepared lining papers and adhesives which improve the environmental health of interiors. Cold walls will soak up heat energy, but at 3mm thick, Wallrock slows down this process which in some cases can warm a room up twice as quickly. 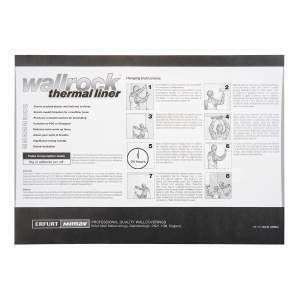 Even when the heating is turned off, Wallrock will continue to maintain a warm environment. Reducing the amount of energy needed, helping you save on heating costs. Wallrock Cosy Liner is suitable for cold external walls, is an ideal solution to hiding surface imperfections and has a class C fire rating so should not be used in fire escape routes. Wallrock Thermal Liner has been approved by the Energy Saving Trust because of its thermal efficiency and energy saving properties. 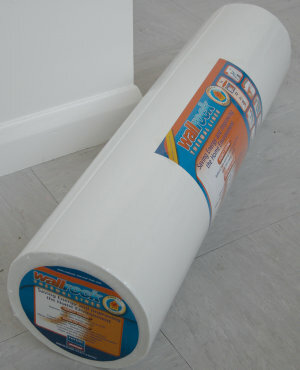 Thermal Liner retains more heat in the room allowing it to warm up much faster using significantly less energy. It’s not recommended to be used in fire escapes unless the surface is additionally treated with a fire retardant covering. It’s important to create a barrier between hot and cold elements such as radiators. Using a layer such as Noma Reflex or Noma Reflex PS tiles will stop energy loss by reflecting heat back into the room. Found a damp or mould problem in your property? 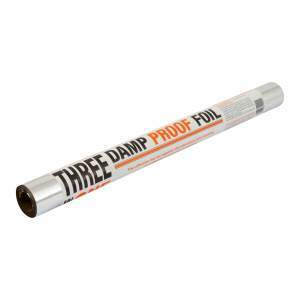 The Anderton 3 in 1 Damp Proof Foil Paper provides an effective barrier against mild to moderate damp and associated mould problems. Use the 3 in 1 Foil Paper with a variety of lining papers and wallpapers, but avoid using with vinyl wallpapers. Before using damp foil try to identify where the problem is coming from and treat this first. If damp is is coming out of the wall, Damp Foil is the perfect solution for you. However, if you have rising damp, leaking gutters or dripping overflow pipes we would suggest treating these before using Damp Foil on your walls. 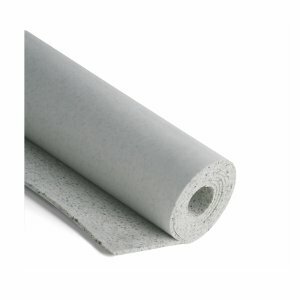 Looking for sound proofing insulation? Brewers have that too! The Noma Phone thermal wall insulation will absorb sound and reduce high frequencies whilst protecting against humidity. Or how about the Noma Acoustic foam tiles that are ideal when it comes to absorbing noise plus they’re easy to cut and install anywhere! If you need insulation that will protect against noise and cold temperatures turn your attention to Noma Nature. Noma Nature is a cork insulation that’s 100% natural and recyclable and can be applied to the wall and floor. So, next time you’re quoting to refurbish a property susceptible to the cold and damp consider visiting your local Brewers Decorator Centre for your insulation solution. Not only will it vastly reduce various health risks for occupiers, it will create a warmer interior and reduce running costs, now that’s adding value!